Excess International Movers has been leading the international removals and shipping industry for over 30 years with their economic and reliable shipping and storage solutions. With over 40,000 shipments being delivered to more than 300 countries each year, we are confident in calling ourselves specialists. 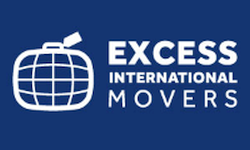 No country is too far and no job too big for our team at Excess International Movers. Our fast and cost effective services allow everything from excess baggage, home removals and vehicle shipping to be sent via sea freight, air freight or road freight within a reasonable time frame. Individuals, families and corporate clients can expect a friendly, helpful personal service when they take advantage of our European removals or international shipping. We serve 25,000 global destinations which includes Australia, New Zealand, South Africa, USA, Canada, South East Asia, South and Central America and Europe to name a few. For an international removals quote to any destination please complete our Online Removals Quote Request form or call us.